PES 2018 Pro Evolution Soccer is the latest version of Konami series of football video games. It can also be referred to as one of the best soccer simulator for Android. This amazing soccer game has its successors namely, PES 2012, PES 2013, PES 2014, PES 2015, PES 2016, PES 2017, and currently we have the most anticipated version which is “PES 2018 Android” the latest for Android which some gamers have been enjoying while others are still waiting for the pes 2019 release date. The Pro Evolution Soccer 2018 also has its unofficial version titled: “PES 2018 Mobile Patch World Cup Russia 2018 Edition Mod Offline”, that's a very long title though. But here we will be giving you a direct download link to PES 2018 Apk the official full version. In this latest version of best soccer game, we have got some new added features to make matches smooth and more exciting than ever before, such as; playing online matches in realtime against your friends whenever and wherever you want, playing local leagues, and create an original tournament. Though the Pro Evolution Soccer 2018 has same gameplay with other versions of pro evolution soccer games for Android (PES 2017) but the PES 2018 android download got more improvement in both graphic design, game modes, styles and team management system. If you want to play casually against nearby friends, now you can engage yourself in various competitions, manage teams from different leagues and participate in local matches and international teams like FC Barcelona just as seen on other game consoles like Latest Sony and Microsoft Game Machines but here you don't need a game console to play this soccer game on your Android. With PES 2018 Android Download you can Scout and recruit thousands of soccer legends and superstars from the best teams in different countries and prepare to feel what it takes to play with or against stars like BECKHAM, MARADONA, ZICO, L.MESSI, L.SUÁREZ, INIESTA, PIQUÉ and O. DEMBÉLÉ. This game would also give you a great opportunity to create your ultimate dream with additional improvement for new gameplay features, such as the Chip Shot and Controlled Shot, game's sound and visuals which makes the pes 2018i worth playing all night long. 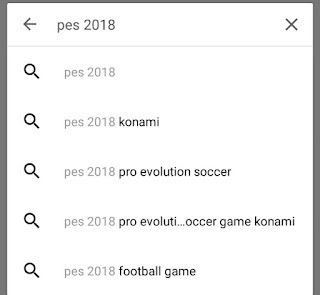 Features Of Pro Evolution Soccer 2018 (PES 2018 Android Game). Player's portrait change to photograph. Register friends and play online matches against them. Play the tutorials using the Classic controls. Play in real-time mode or with official partnerships. The other features that got me addicted to this video game series is the master league. The master league feature in PES 2018 is a game mode where you can choose a team you want to manage either existing teams or a fresh start with original master league player to add more fun in the game play. External Memory: 2GB space or above. 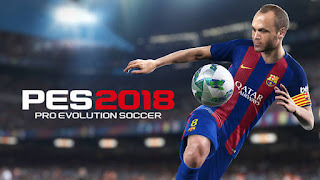 Click here for PES 2018 Apk Free Download and enjoy all the New Legend Players from top teams such as Bayern Munich, FC Barcelona, Man Utd, and more!. 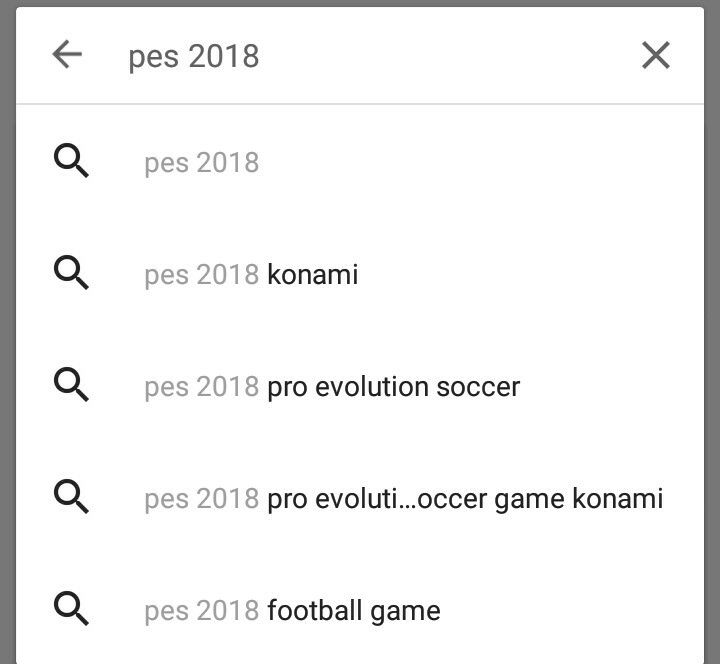 How To Install the PES 2018 full version on Android. 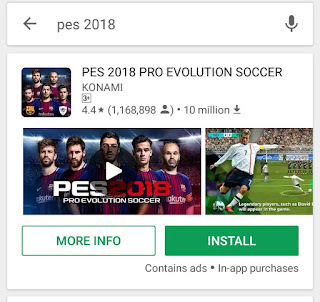 To install the pes 2018 2.3.1 for Android, simply go to Google Play Store and directly type in the search box “pes 2018” when it comes up tap on it and click on the “install” button then wait for the installation process to be completed. Click on the highlighted text above to get the latest working PES 2018 Android Download Free link for Android devices. When you are done with the pes 2018 installation processes, you can change the language to your preferred language and start customizing graphic, modify settings. PES 2018 Review is also available on YouTube, if you wish to watch before the installation processes.